This indispensable guide aims to be a one-stop-shop for the huge percentage of the population who, now or later, find themselves in a caring role, whether that involves shopping for a housebound neighbour, or giving up work to care full-time for a disabled child or confused parent. 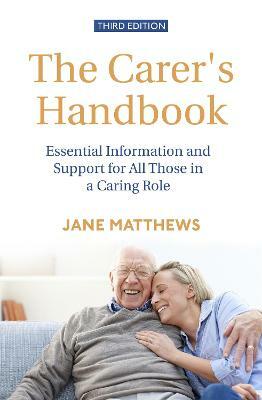 This book will also help carers care for themselves. It looks at the difficult feelings that go hand in hand with caring, including how relationships are affected. There’s guidance on what to do when a carer stops coping, and how to prepare emotionally and practically for the time when caring comes to an end.